Online ordering menu for EL NACOS TACOS. 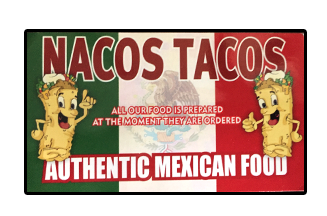 We serve authentic Mexican cuisine here at El Nacos Tacos on Academy Blvd. Come try our Tortas, Breakfast Burritos, Gorditas, and more! We're south of Platte Avenue at the corner of Bijou Street and Academy Blvd. We're near EntertainMart and Wagner Park. Order online for carryout!